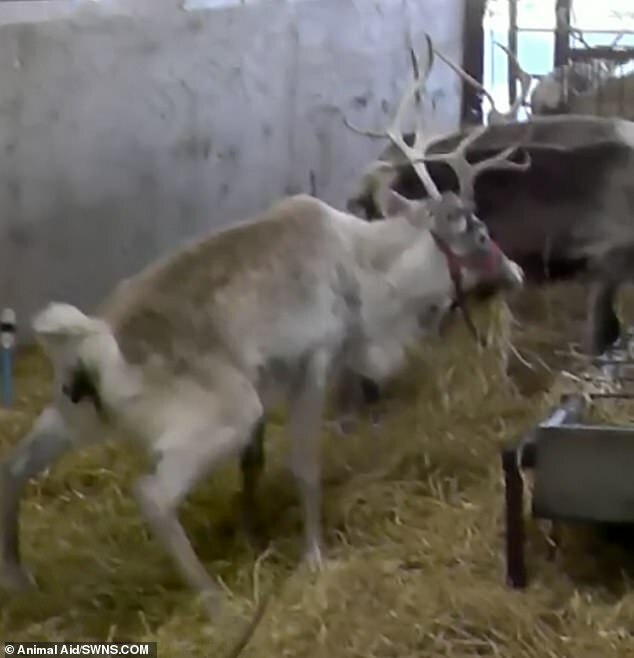 This shocking footage shows the alleged ‘shocking suffering’ endured by reindeer at UK farms – including one being kicked by a keeper, according to an animal charity. Animal Aid said they collected undercover footage from three farms across the country in 2017 and 2018. 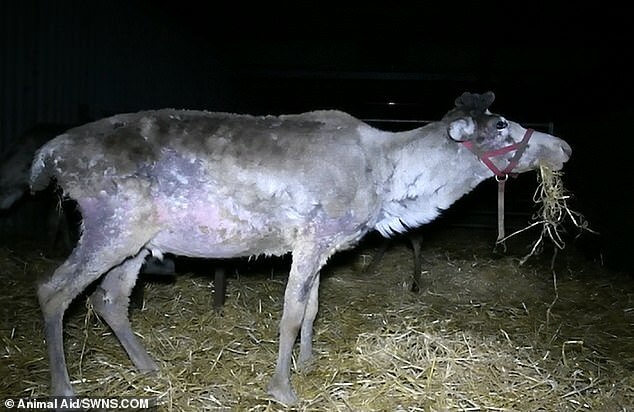 The welfare charity claims they found reindeer with raw, exposed skin, diarrhoea and skeletal abnormalities. 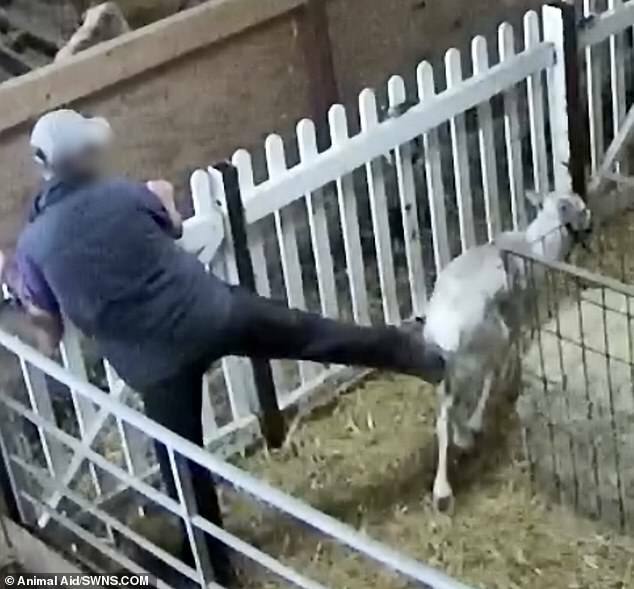 In footage they claim was taken at Kent Reindeer Centre in May 2018 a worker is shown kicking a reindeer twice, as well as shouting abuse at the animals. Several animals across three centres also had visible ribs while several were kept in ‘desolate’ and ‘unnatural’ conditions, the charity claims. 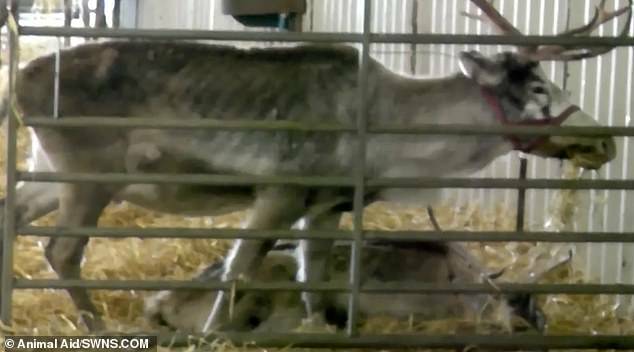 Tor Bailey, campaign manager at Animal Aid, said: ‘Our investigations have revealed the shocking suffering of these gentle animals. 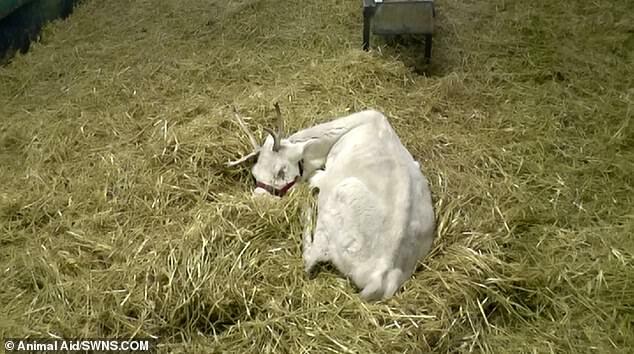 ‘Reindeer are sensitive wild animals, not props to be paraded around and used for human entertainment. 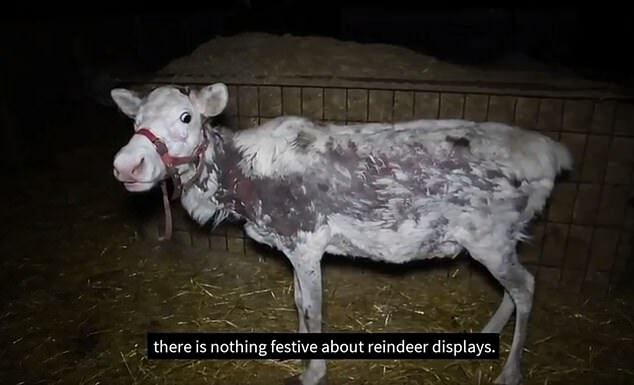 Animal Aid claim that once they are brought to the UK – usually to be used in festive grotto and reindeer parades – they are susceptible to a variety of diseases and pathogens. A charity spokesperson said they had reported their findings to each area’s Trading Standards department, DEFRA and the RSPCA. 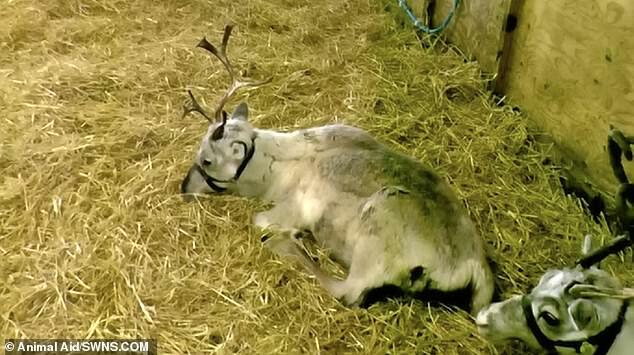 Dr. John Fletcher, founder of the Veterinary Reindeer Society said he was ‘disturbed’ by the footage and findings. He said: ‘Reindeer have adapted to live in the Arctic. They are not well able to cope with the stress of captivity, and most of the diseases we see here in reindeer are stress-related. Trading Standards at Kent County Council said it had been told about concerns at the centre, and attended but ‘found no particular concerns at times’. They said one animal was thin due to age and they didn’t take any extra action. A Department for Environment, Food and Rural Affairs (DEFRA) spokesperson said: ‘We are taking strong action to tackle animal cruelty, increasing prison sentences for animal abusers ten-fold. ‘Reindeer are protected by both the 2006 Animal Welfare Act and the 2018 Animal Welfare Regulations, meaning it is a criminal offence to cause them unnecessary suffering. ‘Anyone found guilty of these crimes can be given an unlimited fine or sent to prison. 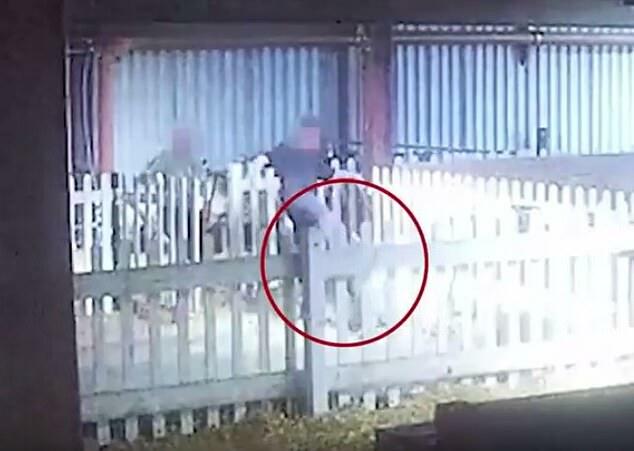 An RSPCA spokesperson said: ‘It is never acceptable to kick an animal as seen in this footage and when we were alerted to it we sent an officer to the scene. ‘Reindeer are semi-wild animals that are highly adapted to the arctic environment. They have very different needs to deer that are native to the UK and it is much more difficult to meet their needs, particularly when kept by non-specialists in small groups for use at festive events. ‘This means having them in a busy environment, surrounded by crowds, noise and lights during a festive event makes it even more difficult. ‘They get stressed easily and are very susceptible to many health and welfare problems when kept in permanent captivity in the UK, particularly in southern areas. ‘We are really concerned that every year, reindeer are used across the country at festive events and exposed to a busy environment, surrounded by crowds, noise and lights, and this can cause these semi-wild animals a great deal of stress.